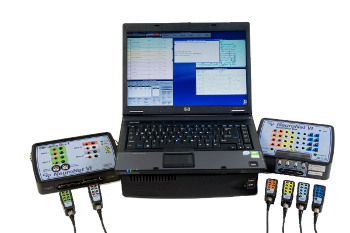 NN600 – Portable IOM | Computational Diagnostics, Inc. The NN600 portable IOM system merges the sleek, simple, user friendly interfaces from earlier NeuroNet software versions with the Protektor© hardware from Natus/XLTEK. NeuroNet NN600 is the perfect combination of small, durable, efficient, and easy to use IOM software and hardware. NeuroNet NN600 is a multi-modality capable system simultaneously capturing SEPs, TcMEPs, BAEPs, continuous and evoked EMG, and continuous EEG with speed and efficiency.